Juventus midfielder Emre Can believes that his teammate Cristiano Ronaldo can land him his first Champions League title this season. After spending nine successful years with Real Madrid, Ronaldo joined Juventus last summer. He has been in terrific form since his move and is currently the top goalscorer (17 goals) in Serie A. On the other hand, Emre Can also joined Juventus last year from Liverpool, but struggled with injuries during his initial few months at the club. He has played 16 league games thus far this season, out of which only eight were starts. Speaking to Sky Italia, Can revealed that he wants to win the Champions League with Ronaldo this season after losing the final last year with Liverpool against the Portuguese's former club, Real Madrid. He said: "It's great to play with Ronaldo, everyone would like to have him in their team. He's a champion on the pitch and a very nice guy off it. We all learn a lot from him. However, Can also believes that overcoming Atletico Madrid in the round of 16 would be a big task for his team. "Atletico Madrid? It will be very tough, they are one of the strongest opponents we could've gotten. They defend very well and it's difficult to play against them, but we are Juventus and we have to believe in ourselves. The fans can't wait for us to win the trophy," he said. "We also have the chance of winning the Scudetto for the eighth consecutive time, but it's always difficult to do so," he added. "There is a lot of hard work behind it all. The Scudetto is our first goal but obviously, there is also the Champions League." 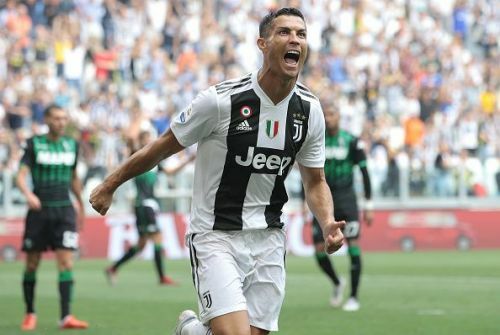 Juventus will play U.S. Sassuolo Calcio and Frosinone in the league next before making a trip to Spain to play Atletico Madrid for the first leg of the Champions League Round-of-16 match on February 21.